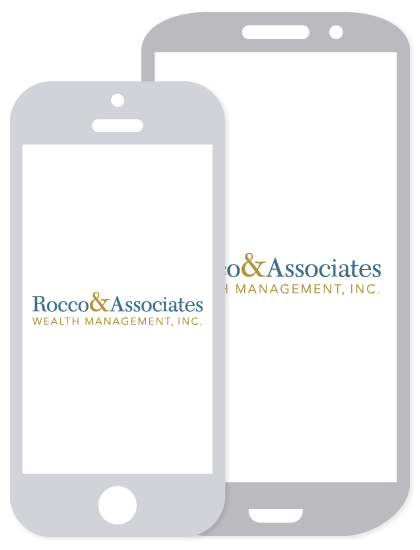 Market Outlook - April 2016 | Rocco & Associates Wealth Management, Inc.
After a wild start to 2016, April could be another volatile month. However, as we stated in last month’s commentary, we assume volatility is constant in our client’s financial plans. So we see the volatility to open the year as business as usual, not the beginning of the end. We believe that the U.S. economy remains strong, and that the market volatility is just the natural corrections that occur in an aging business cycle. However, one economic concern is the continued stagnation of the average American salary. For the majority of Americans, wages have remained the same since 2008 even though the U.S. economy has gone through one of the longest bull markets in history. 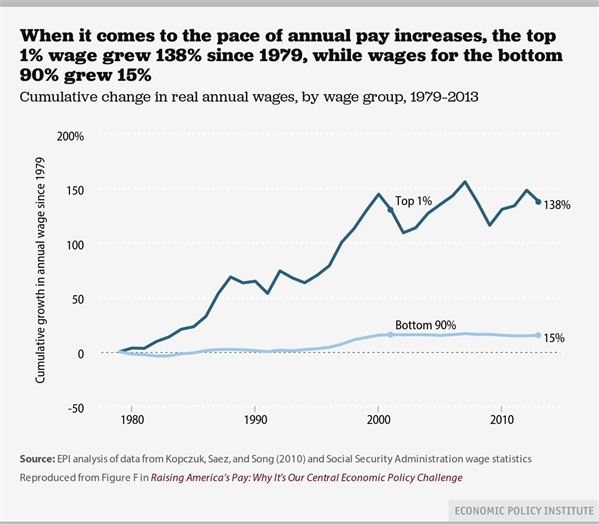 Wage growth from 1979 to the present for the top 1% is a shocking 138%, but the bottom 90% experienced only a minuscule 15% growth. This growth rate needs to change to sustain economic and market growth at home. Further, 2016 is an election year, which has historically seen relatively flat markets. These factors combined may lead to slower growth in the near term. Overseas, international growth could also be slowed by Japan rolling out negative interest rates for the first time in its history, and the continued economic challenges in China. The Japanese government is charging banks to hold its money, which is intended to encourage the banks to lend more in order to spur economic growth. As a result, citizens are encouraged to invest rather than save in an effort to grow the economy. In China, industrial production increased by 5.4% through January and February, the slowest pace since 2008. This slowdown has occurred while China is transitioning to an economy led by consumer spending. This uncertainty, coming from two of the largest consumers of American made goods and services, may add to the volatility in our financial markets. At Rocco & Associates we believe it is the strength of your plan, not the strength of the markets that determines the success of your future financial goals and objectives. We sometimes have clients ask if they need to delay their retirement until the markets are soaring. If you have gone through the planning process then the answer is “no.” Throughout retirement there will be up and down markets, so as long as your plan is set to weather both conditions the markets should not decide your major financial decisions. As always, if you have any questions at all or would like to set up a time to come in to review your plan, please do not hesitate to reach out to the office. The opinions voiced in this material are for general information only and are not intended to provide specific advice or recommendations for any individual. The economic forecasts set forth in the presentation may not develop as predicted.